It has been speculated that moral behavior does not at all begin and end with religion and that it could be developed through evolution. 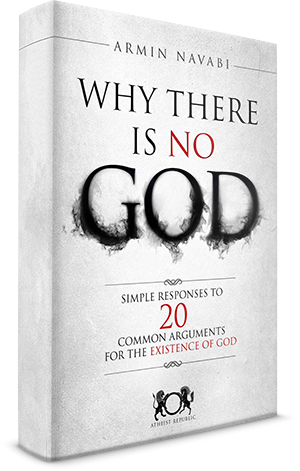 Frans de Waal, a primatologist, contends that morality is not imposed by god; it actually comes from within. 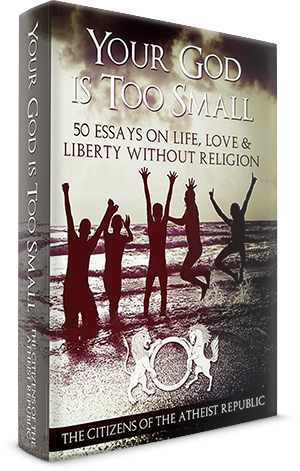 This book is a lively discussion of De Waal's landmark research, which seemed to confirm his theories. De Waal's research shed more light on the issue with fascinating new evidence on the beginnings of ethical behavior among primates. Through years of observation, the primatologist established that bonobos share their food and chimpanzees actually comfort distressed neighbors. This is further proof that human fairness and morality could actually have biological origins and are not dictated or formulated by some supreme being. The book features vivid tales of animal kingdoms and societies interspersed with philosophical analyses, where the author seeks an explanation for morality that would take humans' connection with animals into the equation. He asserts that the evidence from primates which are deemed a close relative to the human species reveals that morality lies deep within us. With the Catholic Church wrapped in scandal and other religions caught in violent conflict, it is now all the more difficult to accept that religion dictates morality. De Waal also explored what his observations could mean for morality, religion and our understanding of such. He regards religion's role in morality merely as an addition to what is already within us - a natural predisposition for empathy and cooperation. 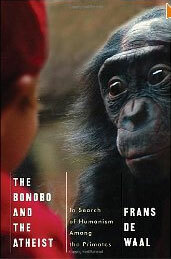 With cultural references and notes on primate behavior, the book is able to present a unique and engaging argument with foundations in science and philosophy. I have seen animals besides human express morality and so I find it quite annoying when people say something to the effect that religion dictates morality don't have morals this reason alone is enough to annoy me but there are many more, many more reasons. Interesting to me is the amount of red flags for being a sociopath that are raised by person who believes religion dictates morality. Agreed wholeheartedly. If you believe that you have to be *told* the right way to behave, rather than just know that you will discover it, then you're relying on external forces to shape decisions that most of us know should be internal. Interestingly, this concept is laid out in religious texts... I have no idea how theists missed it. I have found that the average religious person knows less about religion than the average atheist. That is very true Zaph! I am usually the most informed person in the room at family gatherings and, because of that, the normal topic of religion and its obligatory discussions don't happen as often any more! This is precisely what bothers me so much about Darwin (and vegetarians, lol) - this extremely gauche assumption that humans are the pinnacle of evolutionary achievement, and the more human something is, the better. I take an opposing stance toward human evolution being the best and propose things that live the longer have evolved better. We are the ones who run this planet and we are the ones who are running it into the ground. I couldn't have said it better myself. We are constantly evolving and maybe soon we will be evolved enough to know that we are mostly wrong.